The AN/TVS-5 Night Vision Sight is a portable, battery operated, electro-optical instrument used for observation and aimed fire of weapons at night. It amplifies reflected light such as moonlight, starlight, and sky glow so that the viewed scene becomes visible to the operator. An eye guard prevents visible and infrared light from being emitted from the eyepiece. The AN/TVS-5 is presently the standard night sight for the M2 .50 Caliber and 40mm MK19 heavy machine guns. The AN/TVS-5 can be tripod mounted for surveillance, however it is generally used in the Marine Corps as a crew-served weapon night sight. 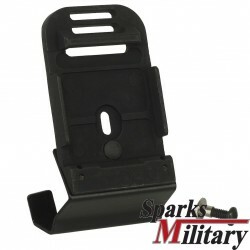 The sight comes furnished with the mounting bracket and reticle for the M2 machine gun. Brackets and reticles for use with other weapons must be separately requisitioned. A carrying bag and battery adapter for low temperature operations may also be requisitioned. The AN/TVS-5 was designed in the 1970s to provide a night fighting capability with crew-served weapons. Fielding to Army units is complete, and the supplement/replacement system is the AN/PAS-13, Thermal Weapon Sight (TWS). 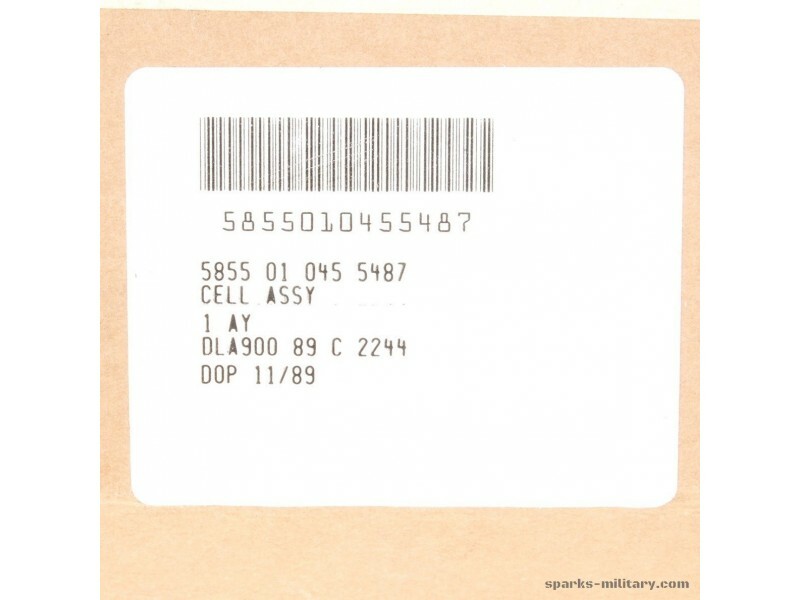 The Army is no longer procuring the second generation AN/TVS-5 weapon sight, but continues to procure this device in support of other requirements, predominantly the Marine Corps and FMS. A. 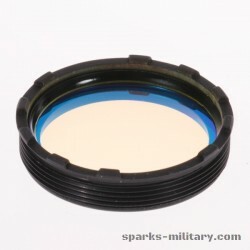 DESCRIPTION: THE AN/TVS-5, CREW-SERVED WEAPONS NIGHT VISION SIGHT IS A LIGHTWEIGHT, BATTERY-POWERED, TELESCOPE-TYPE, PASSIVE NIGHT SIGHT. IT CONSISTS OF THE MAIN HOUSING, OBJECTIVE LENS ASSEMBLY, EYEPIECE ASSEMBLY AND IMAGE INTENSIFIER ASSEMBLY. THE MAIN HOUSING ASSEMBLY IS A TUBULAR CASE TO WHICH THE EYEPIECE AND OBJECTIVE ASSEMBLIES ARE ATTACHED. THE SIGHT AND RETICLE CONTROLS ARE MOUNTED ON THE HOUSING, AND THE IMAGE INTENSIFIER IS CONTAINED WITHIN. THE EYEPIECE IS ADJUSTABLE OVER +/- FOUR DIOPTERS TO PERMIT USE OF THE SIGHT BY MOST PERSONS WITHOUT WEARING PRESCRIPTION GLASSES. 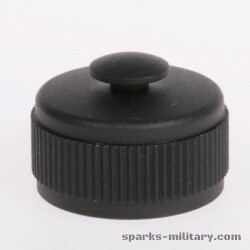 A RUBBER EYESHEILD IS ATTACHED TO THE REAR OF THE EYEPIECE TO PROTECT THE USER'S EYE FROM SHOCK WHEN A WEAPON IS FIRED. 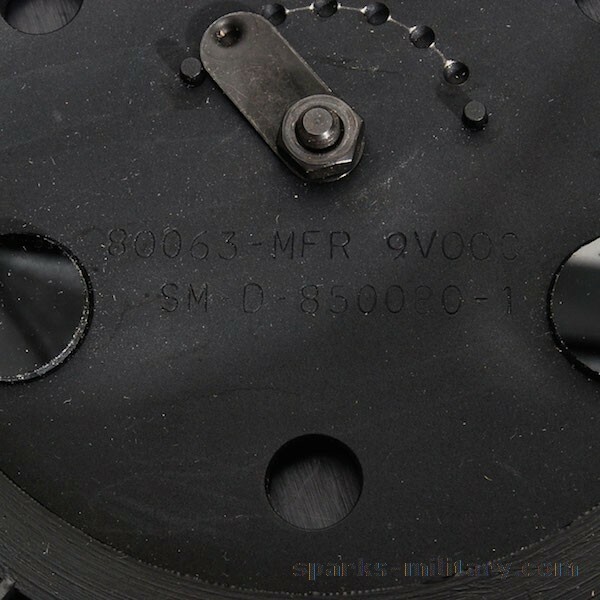 THE EYEPIECE ALSO CONTAINS TWO RUBBER FLAPS THAT CLOSE WHEN USER'S EYE IS REMOVED FROM THE SCOPE, TO PREVENT LIGHT LEAKAGE. THE CHARACTERISTICS OF THE AN/TVS-5 ARE AS FOLLOWS: (1) WEIGHT: 7.5 LBS. (2) RANGE: ONE KILOMETER-STARLIGHT, 1.2 KILOMETERS-MOONLIGHT. (3) MAGNIFICATION: 6.5X. (4) FIELD OF VIEW: NINE DEGREES CIRCULAR. THIS ITEM IS APPROPRIATE FOR INCLUSION IN AR 310-34. B. 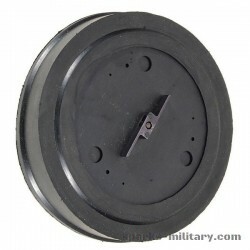 CAPABILITIES: THIS SIGHT WILL PROVIDE FIRING ACCURACY EQUAL TO THAT WHICH CAN BE ACHIEVED DURING DAYTIME. IT IS REPLACING THE AN/TVS-2B NOW IN THE INVENTORY. 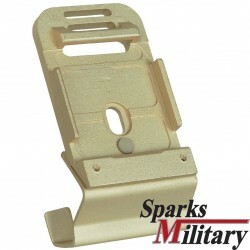 C. EMPLOYMENT: WITH SUITABLE BRACKETS, THE AN/TVS-5 WILL MOUNT ON THE M2, M139, M40A1, AND MK19 WEAPONS. IT WILL BE USED FOR PASSIVE OBSERVATION AND AIMED FIRE OF CREW-SERVED WEAPONS DURING PERIODS OF DARKNESS. D. BASIS OF ISSUE: (1) 1 PER GROUND OR VEHICLE MOUNTED 50 CAL MACHINE GUN OR MK-19 40MM GRENADE LAUNCHER LOCATED FORWARD OF THE DIVISION REAR BOUNDARY. (2) 1 PER 2 50 CAL MACHINE GUN AND MK-19 40MM GRENADE LAUNCHER LOCATED IN THE CORPS AREA BEHIND THE DIVISION REAR BOUNDARY. (3) 1 PER VULCAN FORWARD OF THE DIVISION REAR BOUNDARY. (4) 2 PER SCOUT PLATOON. (5) 1 PER 7.62 MACHINE GUN IN RANGER PLATOONS. (6) 1 PER MK-19 OR .50 CAL MACHINE GUN MOUNTED ON A MILITARY POLICE WEAPONS PLATFORM. ***NOTE*** VEHICLES NOT INCLUDED ARE THE M577 CARRIER, COMMAND POST, M578 RECOVERY VEHICLE, M113 PROVIDED FOR TACP IN INFANTRY AND ARMOR BATTALIONS, AND M113 USED IN AMBULANCE ROLE. 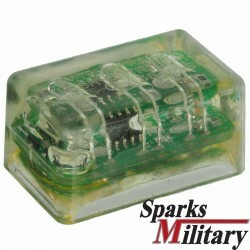 E. POWER REQUIREMENTS: DISPOSABLE, 2.7V DC BATTERY (BA-1567/UV). F. TRANSPORTATION REQUIREMENTS: CARRIED BY THE WEAPONS CREW. G. PERSONNEL/MAINTENANCE IMPACTS: (1) OPERATOR: (A) CREW SIZE/MOS: AS DESIGNATED BY THE COMMANDER. (B) TRAINING REQUIREMENTS (MOS/GENERAL): NOT CURRENTLY IN THE BOIP. (2) MAINTAINERS: (A) UNIT LEVEL MAINTENANCE: DESIGNATED BY COMMANDER. 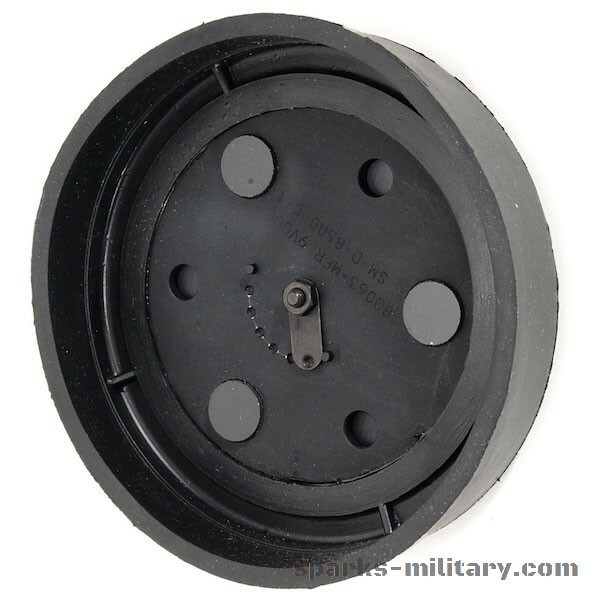 (B) IDS/IGS MAINTENANCE: MOS 35E H. SPECIAL NOTES: THE SIGHT COMES WITH MOUNTING BRACKETS AND RETICLE FOR THE M2 MACHINEGUN. BRACKETS AND RETICLES FOR USE WITH OTHER WEAPONS MUST BE REQUISITIONED SEPARATELY. 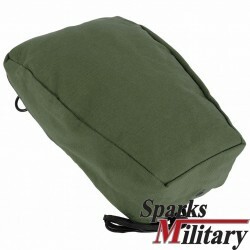 A CARRYING BAG AND BATTERY ADAPTER FOR LOW-TEMPERATURE OPERATIONS CAN ALSO BE REQUISITIONED. THIS ITEM IS APPROPRIATE FOR INCLUSION IN AR 310-34.